Lake Kivu is considered one of the largest fresh water in Rwanda, the lake has got terraced hills leading to the lake shores, this place is good for relaxing, swimming, it also encourages boat cruises which helps in availing the tourists who come for safaris in Rwanda to view a variety of water animals, like the crocodiles, water birds and many other animals. In order to increase Rwanda safaris, the tourism industry has currently decided to promote Lake Kivu in order to increase the revenues of the tourism sector. This Lake is considered to be the most beautiful water bodies in East Africa. The government has decided to improve the road infrastructures around the lake so as to boost the tourism industry with in the country; this will in advance increase the revenues of the country. This lake offers wonderful sceneries which are exemplified in the good panorama, which affords a viewer in checking the surrounding hills and lush of the environment. 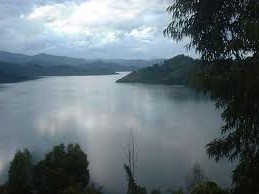 This atmosphere of the lake has greatly attracted many safaris to Rwanda by many tourists who visit the country. Even though the tourism around the lake is not yet well developed, the tourism sector has promised to develop the lake for tourism. The head of Rwanda‘s Tourism, said that domestic tourism has been developed in the area which has helped in increasing the number of tourists who come for safaris with in Rwanda. Domestic tourism in the area will certainly increase the revenues of the area which will also help in developing the tourism sector. Diversification of the tourism products alongside Lake Kivu will help in improving the infrastructures and the hospitality industry. Also the need to develop tourism in the place will help in increasing the revenues of the tourism sector, which will help in stimulating the more domestic and international tourists to visit the place, thus helping in the increasing of the safari visits to Rwanda.